Santa Rosa Recreation & Parks invites artists to exhibit their artwork for the encouragement and development of artistic expression and to foster greater appreciation for art in our community. 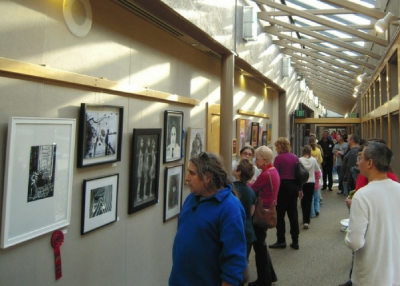 Art exhibitions are continuously on display at the City Hall Council Chambers, Finley Community Center, Steele Lane Community Center and the Person Senior Wing. Interested artists can apply year-round by submitting an application, available online here or in person at Finley Community Center or Steele Lane Community Center. Applications are accepted on an ongoing basis. For more information, please contact Jessica Rasmussen at 707-543-4674.